If you were ordered by a Florida court or judge, or even the Florida DHSMV, to take a 4-hour driver improvement or defensive driving course then this traffic school course is for you. Did the court order you to Florida Court Ordered Traffic School? Looking for an approved online Defensive Driving School? You've Come to the Right Place! Not sure about going online? We also offer a Video/DVD Traffic School as well as Classroom Traffic School at convenient locations throughout the State of Florida. 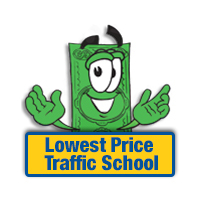 About Lowest Price Traffic School Courses: Lowest Price Traffic School offers traffic school and defensive driving online courses that are authorized in ALL 67 Florida counties by the Florida Department of Highway Safety & Motor Vehicles. We provide the best value to our customers through our lowest price guarantee and most importantly, the highest quality driver education available in the industry. Do I have to take the traffic school course online? No. 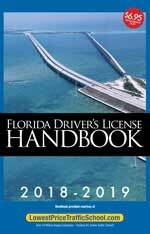 The Florida court ordered traffic school course is also available on Video/DVD or at one of our Florida classroom locations. No. Since you're taking this course online in the privacy and comfort of your home or office, you can break it up and complete it at your convenience. With unlimited log-ins, the choice is yours! The course is 4 hours long, including breaks and you may take the course in sections or all at once. Your certificate of completion will be processed after you complete the course online and you will have the choice to receive it by regular mail or upgrade to email.